Karachi is among the 20 largest cities of the world with a population now exceeding 14.5 million, and almost a small city of 0.7 - 0.8 million is added each year through natural growth and inward migration. It is Pakistan’s only port city. Pakistan is a developing country with a low per capita income of $650, a low literacy rate and a high level of foreign and local debt. Social sector spending is low and the poverty level is around 30 per cent. It is a matter of prestige and honour for the citizens of Karachi that I have been selected as one of 65 mayors in the world from whom World Mayor 2005 will be chosen. For a city like Karachi, short of resources and with an abundance of problems ranging from a lack of basic facilities to terrorism and law and order, the mayor’s task has never been easy. Furthermore, in the terrorist acts of the past four years, Karachi was particularly hit. But my conviction was clear from the first. I have always believed in success coming through hard work, dedication, sincerity and utmost honesty. Karachi City District Government was the outcome of a Devolution Process by the Government of Pakistan wherein various departments and public sector entities were devolved and merged into CDGK. It was a new system of devolving power at grass roots level, but as a new experience lot was unclear. The Karachi City Government Structure in 2001 was a step towards restructuring the management of Karachi by devolving departments under the umbrella of City Government which gave a platform to plan for sustainable sevelopment and think on a long-term basis compared with earlier short-term policies. However, bureaucratic and administrative, as well as political challenges, were present because vested powers were affected. Similarly, due to political and administrative rifts, Karachi was denied its due share resulting in shortages of resources. Karachi, as a mega city, needed to deal with a multiplicity of problems as a matter of urgency. Much of the infrastructure was dilapidated through lack of money. New investment had to be made and new resources found. Linkages between departments, communication gaps and lack of confidence by private entrepreneurs were the problems that needed to be solved, apart from routine specific and operational issues. The new leadership of Karachi has reshaped the future with its vision of initially pinpointing the main problem areas of traffic engineering, transportation and infrastructure including roads and flyovers, pollution and environmental management, water supply and sanitation, education and health with a view to starting sustainable development. However, the meagre resources available - physical, financial and human - needed multi-pronged support to enable Karachi find its way among the developed cities of the world. At its inception Karachi City Government devised short, medium and long-term strategies for improving the battered infrastructure that included roads, flyovers, water, sanitation, mass transit, bulk water supplies, desalination plants, effluent treatment, health facilities, solid waste management, and health and education. We divided our projects into five areas. The following three Mega Projects were started. While Lyari Expressway was planned to take care of inner city vehicular movements, Karachi Northern Bypass would divert all the traffic to and from Karachi Port. The.K-3 Project will add 100 MGD of water to the Bulk Water supply network. These three principal projects, at various stages of completion, will improve the infrastructure to an enormous extent. These may be silent projects during implementation but on completion will make a resounding difference. The first and foremost issue was the revival of confidence. 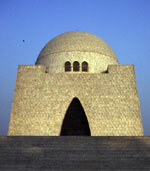 This entailed changing perceptions and initiating confidence-building measures to regain and improve Karachi’s stature. In order to project the image of a large city like Karachi at international level I participated in various international conferences and seminars. These conferences led to my meeting the leaders of cities and international development and donor agencies, foreign investors as well as the general public of various countries, providing opportunities of discussing what is happening in Karachi with its numerous projects. Since then the negative perception that persisted has been very much reduced and the city has started to emerge on the global map as place of opportunity for the investor. It is important to mention that not one single rupee of City government money was spent on any of these visits. I persuaded the organisers to arrange for my fares and accommodation, telling them that the Karachi City Government could not bear such expenses. It is my pleasure to report that all of the organisers acceded to my request. In fact I had to decline many other invitations worldwide to concentrate on my work in Karachi. When we took over the City District Government our total budget outlay was PKR 5 billion (US $85 million). It was basically due to poor planning, pilferages, inefficiencies of revenue-generating departments and a paucity of overall concerted effort. In the first year we were able to enhance the budget to PKR 20.50 billion (US $347 million) and in the last year of my tenure 2004-05 it rose to PKR 43 billion (US $729 million). Improvement in budgetary figures helped us to improve the resource bases needed for social sector developments such as education, health and public utilities and for Mega Development Projects. Lack of quality education and health facilities are two major issues for Pakistan and Karachi. Due to low incomes, literacy levels are low and even lower for females. CDGK tried to play its full part in these areas, although we had meagre resources. However, we directed a high percentage of our budget to these two sectors, providing some relief to suffering and for the first time introduced school management principles by inviting parents, teachers and students to jointly work for improvement of institutions. In education we initiated a unique scheme of inviting NGOs and philanthropists to contribute to the resources we needed to upgrade elementary, primary, secondary and higher secondary education. We entered into an agreement with The Citizens Foundation, which undertook to take over our schools in various low-income areas and upgrade the facilities and quality of education. We founded 32 new colleges in Karachi and due to a paucity of resources we invited capable people to come forward and teach without salary in our educational institutions, and many qualified people did so, providing relief to our budget. We collaborated with provincial government to provide free textbooks to all students of our primary and secondary schools. We introduced a centralised admission policy for colleges and abolished quotas for fair and transparent admissions. We improved health facilities at CDGK hospitals and clinics. It is perhaps difficult to believe, but it is a fact that Karachi, with its population of 14.5 million, had only one dedicated heart hospital. This was built in the 1960s, and now, 40 years later we have been able to provide the city’s second cardiac hospital, The Karachi Heart Institute, with the latest facilities for treatment and surgery. This will be supplemented by chest pain centres in 18 of the towns of Karachi, since in more then 70% of cases people die from delays in treatments. In order to provide the people with low cost diagnostic services we have laid the foundation stones for diagnostic centres providing lab tests, X-ray and MRI services, as well as other diagnostic services, at 20% of cost. Karachi is the only mega city in the world without a mass transit system. We have entered into an agreement with a US company, Meglaive, to provide Karachi with its first system along a 13-kilometre corridor. Others will be added and interconnected to provide much needed relief to the people of Karachi. As a first step we have also added 250 clean fuel CNG buses to the Karachi Transport System with another 250 to be added by the year-end, an investment made by private local and foreign investors and facilitated by CDGK. We revived the Karachi Circular Railway in 2005, a commuter service that had been closed for many years. Further improvements to the system, and linking it to the mass transit system, will help solve many of the city’s traffic and transport problems. On assuming our responsibilities we started an Informatization process in the core areas of education, transportation, land control and management, and health and district administration. Our first step was in launching Karachi City Government’s Portal providing a linkage platform and utilising web resources in information dissemination, online services, community development and investment planning. It has also attracted local and foreign investors for projects advertised through our website. Many projects in the pipeline were initially hit by investors going through our website. Similarly, documentary information needed by citizens has saved a lot of time and money. Karachi is a large city and due to unplanned growth, with almost 40% of the populace living in slums, and with its widely located industries, its environmental problems are at a peak. Karachi had no projects to recycle and treat wastewater. We entered into an agreement with an Austrian Company for the treatment of sewerage water and then to supply it to a large industrial estate for industrial use. In order to reduce the use of non-renewable energy we are looking into the option of utilising the vast wind energy potential to generate electricity. We have also conducted a ground water survey to provide other options for water sources. We entered into an agreement for the management of 8,000 tons of solid waste generated daily for its safe disposal, with the possibility of generating electricity from it. Our original slogan, ‘A Cleaner and Greener Karachi’, reverberated through our development work, which has included model parks, playgrounds, date and coconut plantations and the revival and improvement of Karachi’s safari park. All these efforts were geared to provide respite and a healthy environment for the people of Karachi. We are thankful to many philanthropists and corporate groups who helped us in these and other projects in beautifying the city’s appearance and giving it a new and fresher look. The last master plan for Karachi was drawn up in 2000. We have started the next one on a digital basis to provide the foundations for future development, making the 2000 master plan the basis of the next plan. The role of the private sector in economic development cannot be under estimated. We invited domestic and international private sector investors to participate in the economic revival of Karachi, and various groups and companies have already started projects. We have invited the private sector to take part in badly-needed recreation projects. I am pleased to report that owing to the enormous inherent potential of Karachi, the revival in investor confidence at large, transparency in policies, strategic geographical location and a positive human resource base, we have received an overwhelming response. Leading foreign and local investors have shown an interest in Karachi, thus strengthening confidence in its government. City District Government Karachi (CDGK) signed an MOU with the Water & Sanitation Program South Asia (WSP-SA) for building a strategic partnership for the purposes of having a cumulative effect on the water and sanitation services for Karachi’s poor. WSP-SA is an international program and its expertise in wastewater treatment and solid waste management can be extremely helpful. City District Government Karachi (CDGK) signed an MOU with the Green Bus Company, a consortium of Siegfried Beacon (USA) and Hexatime (Pakistan) for 300 CNG/ Bi-Fuel Buses to operate in Karachi providing trouble-free, safe and economic transportation for the masses. Karachi is an important city for Pakistan, contributing 65% of federal revenue and 100% of foreign trade (US $35 billion). Many large public sector organisations were using its resources but were not concerned in playing their part in development. For the first time, with the help of President Pervaiz Musharraf, the Karachi Development Package of PKR 29 Billion (US $500 million) has been approved. This package, for the development and rehabilitation of Karachi, envisages involving, for the first time, all the stakeholders with immediate and emergent schemes, with short, mid and long-term plans. Various stakeholders such as Pakistan Steel, Port Qasim, Export Processing Zone, Civil Aviation Authority, Pakistan International Airlines, KPT, Oil Refineries, State Bank, and the Export Promotion Bureau are actively pursuing their projects under this development package. Niamthullah Khan, Mayor (Nazim) of Karachi. 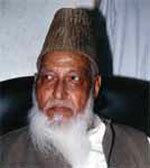 Mayor Kahn resigned from office in June 2005 and was not re-elected in Pakistan's following local elections. City Nazim: Mayor - Karachi, August 2001-June 2005. Standing for re-election in August 2005.